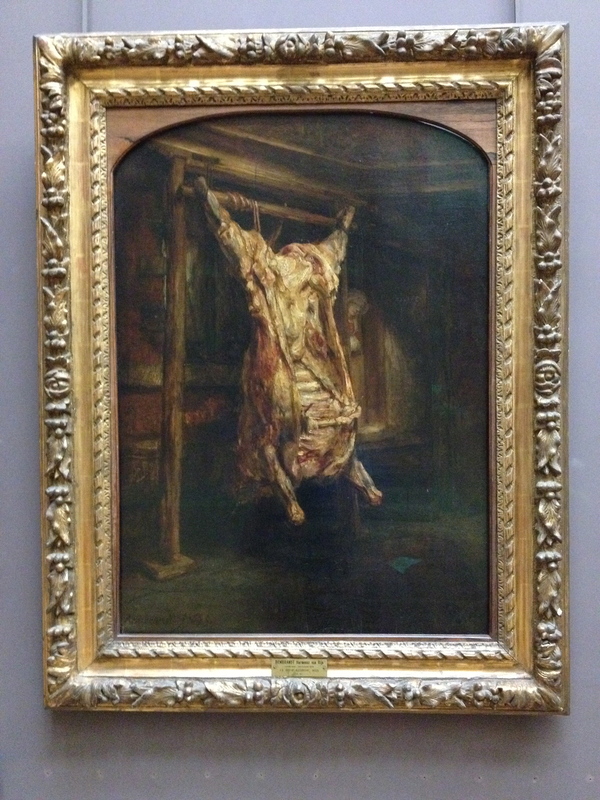 Hanging at the Louvre, Rembrandt’s picture of a slaughtered ox. If you look closely you can see a young woman peeping around a doorframe behind the ox. What is she smiling about? Thoughts of dinner? Profits to be made from selling the ox? Laughing at Rembrandt painting such a quotidian subject? Published: December 1, 2013 Dimensions: 2448 × 3264 Posted in: Paris Gallery Post a comment or leave a trackback: Trackback URL.